Annual, Student, and Junior Memberships in the AACA are open to all individuals who have a genuine interest in the antique automobile hobby. Ownership of an automobile is not a prerequisite of membership. Annual Dues are $35.00 (includes spouse, if applicable) – dues are billed annually – no pro-rating of dues. 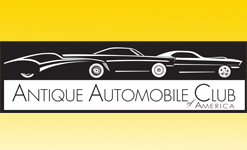 Members receive bi-monthy issue of ANTIQUE AUTOMOBILE magazine. Members are eligible to join an AACA region and/or chapter. Members can exhibit vehicles and compete for national prizes and annual awards. Members receive limited free research by the AACA Library & Research Center staff. To join the Bay Country Region, you first need to be a member of the National AACA. You need to then attend two of our events before being considered for membership. Annual dues are $12 for a single member, $15 for a joint membership, and $1 for a student member..
Members receive The Distributor, BCR’s newsletter. Members are eligable to participate in the many regional events held throughout the year.